Through the foyer of a nondescript office building beside the CambridgeSide Galleria mall, up an elevator that requires an electronic key card, is every destination in the world, by any route, on almost any means of transportation, at every available price. This is the research-and-development headquarters of the travel website KAYAK, whose own chief technology officer, Giorgos Zacharia, was surprised to find it here when he was interviewing for the job. “When I was introduced to the founders I asked, ‘Are they visiting from the West Coast?’ ” he said. Zacharia still jokes that the company should get a bigger sign than the one that hangs on the side of the building and is dimly visible from Land Boulevard. It might help show the world, he said, how greater Boston — not Silicon Valley — has quietly become a global center of the travel technology industry. Some of these companies are invisible because they work largely behind the scenes. The travel tech world here effectively took off with the cofounding by an MIT graduate student in 1996 of ITA Software, which managed to automate the complex trudge of calculating schedules and ticket prices for airlines. The company was bought by Google for $700 million in 2010 but still operates in Cambridge. The multibillion-dollar Spanish corporation Amadeus IT Group, which also sells its products to the travel industry directly, has its North American headquarters in Waltham, where it designs technology it sells to airlines, travel agencies, hotels, cruise lines, car-rental companies, and others. But both of these little-noticed giants would also come to serve consumers. ITA’s algorithms ended up as the basis of the Orbitz booking site and now power Google Flights, and Amadeus also lets travelers use its technology to book and track trips. It’s in this consumer-serving world of travel tech that Boston has become a leader — in part because it’s always been the data geek to the West Coast’s flashy PC prodigies, according to Massachusetts Technology Leadership Council president and CEO Tom Hopcroft. Sites like Hopper, an app that tells you the best time to buy a flight, or Carla, which calls itself the Tinder for car rentals. They’re here. So are Groupize, which manages group bookings; Lureboats, which finds, compares, and reserves boat charters; Wanderu, which books train and bus travel online; and Hostel Point, which, yes, sets you up with hostel stays worldwide, online. Massachusetts also is the home to buggl and Fuzzy Compass, which connect travelers with knowledgeable natives who can offer them itineraries or customize their trips, and RueBaRue, which does it automatically, and Yonward, which lets travelers share their experiences through crowdsourced tourist guides. It’s also the address of Freebird, which, for a fee, will automatically book you a new ticket on any airline if your flight is canceled or substantially delayed, and Lola (for “longitude” and “latitude”), a members-only app that can connect you to consultants who find and reserve flights, hotels, and other vacation necessities. All of these are driven by an army of technologists proficient in two fields crucial to the travel search, and as strong in Boston as a Southie accent: analytics and machine learning. This all got a little more visible with the opening of the new $120 million headquarters of the local travel tech behemoth: TripAdvisor, the world’s largest travel site, in its impossible-to-miss location right on Route 128 in Needham, with room for 1,500 employees. So intense has the competition become for workers like these, the building offers such amenities as free food in a cafeteria called the Hungry Owl, a nod to the company’s logo, with a brick oven that’s an homage to the Needham pizza joint above which it was started. There are lounges with flat-screen TVs and free wine and craft beer, a fitness center, and a game room, all around a four-story atrium. The reception area is designed to look like a hotel lobby. The mail is delivered by Segway. Each of the six floors is named for, and decorated to reflect, a continent. Workers are invited to bring their dogs to the office, and there are bikes to share, subsidized massages and pedicures, and shuttle buses from Cambridge and North and South stations. Boston’s universities supply some of this talent. Like the graduate student who cofounded ITA, KAYAK’s Zacharia is an MIT guy. TripAdvisor CEO and cofounder Steve Kaufer went to Harvard. Local incubators push this business, too. Harvard’s Innovation Lab, for instance, helped hatch TBDee, a proprietary suggestion engine that helps travelers decide where to go in the first place. The MassChallenge accelerator gave momentum to Vendedy, which connects travelers to street markets, and lets people buy street products online that others photograph. This becomes a cycle in which these companies, and their employees, spin off yet more travel tech. TripAdvisor operates 21 other travel sites, including cruisecritic.com, flipkey.com, seatguru.com, jetsetter.com, and virtualtourist.com. KAYAK, run by a cofounder of Orbitz and now owned itself by Priceline, runs checkfelix.com and swoodoo.com. The KAYAK office in East Cambridge is equally worker- (and dog-) friendly, with free snacks, free beer, a gym, a laundry room, video games, foosball, and pool and Ping-Pong tables. Instead of a name, each conference room has an airport code, and there are stylishly furnished “living rooms” in which employees can brainstorm. 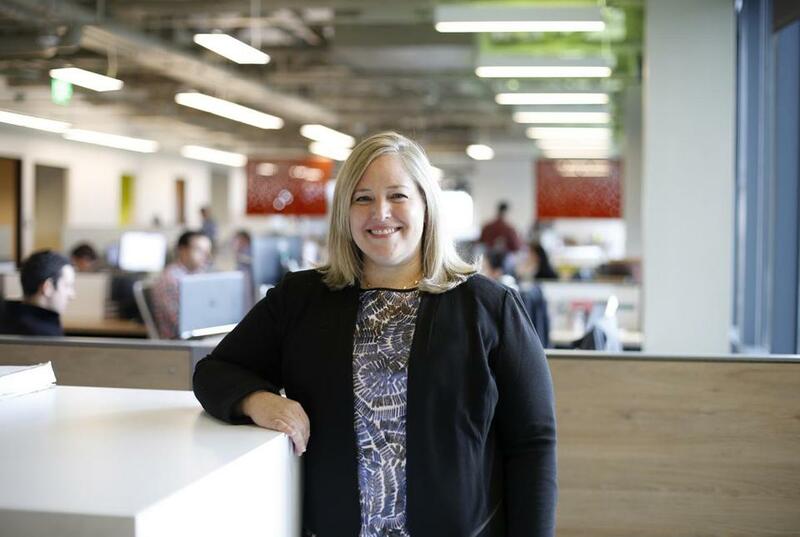 But Zacharia and others said there’s one advantage when they’re vying for technologists with other industries: Travel is a big draw, especially in Boston. “Culturally this is a place that embraces travel and the concept of travel,” said Barbara Messing, chief marketing officer at TripAdvisor. That’s what drew one of the newest travel startups, PlacePass, said its cofounder, Emily Bernard, whose company helps travelers find and book sightseeing tours and other experiences in cities around the world. Its office is in Harvard Square. Another, she said: access to employees with the IT skills the company needed, and an interest in travel. The sector is as crowded as it is little-known. But people in it don’t seem to be worried it will slow down. TripAdvisor, for example, has an option on expanding its year-old headquarters by nearly double the size, and growing to 2,500 employees.